Am I Eligible for a Personal Injury Claim? The legal system can be an intimidating and confusing place. Many people who are suffering from pain as a result of someone else’s careless, reckless, or negligent behavior may be reluctant to bring claims, or not know if they are entitled to bring one at all. This brief primer will fill you in on the basics of personal injury claims, and give examples of the types of claims we handle at Brain Injury Law of Seattle. A “personal injury” case is simply a term that describes the area of law that allows for a legal remedy for damages you suffer as a result of another party’s careless, reckless, or intentional behavior. There are many different types of personal injury cases. Personal injury cases are brought as civil actions. 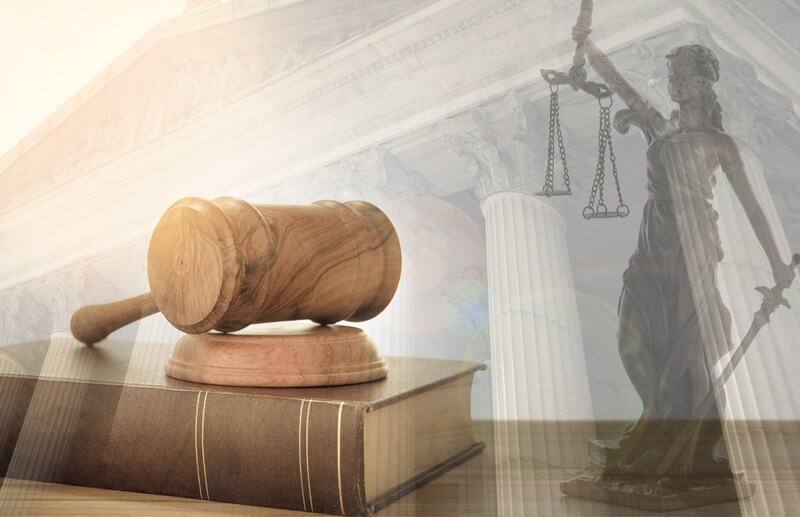 A “civil” case simply means that the case is between two parties, whether they are people, companies, organizations or entities, and usually involve financial compensation for damages. This is in contrast to criminal cases, which involve the government’s prosecution of criminal law and involve sanctions such as fines or imprisonment. Most personal injury cases deal with the laws concerning “negligence”. Negligence is a legal term that refers to the level of reasonable care owed by one person or organization to another. If an individual or party violates their duty of care to act reasonably, and that action causes a victim to be injured, then the individual or party will be responsible for the injuries. This can include costs of past and future medical care, lost wages due to time missed at work, loss of future income, and pain and suffering. Personal injury cases can arise out of almost any number of circumstances. The following is a list of some of the types of cases that frequently lead to personal injury claims. The most common type of case most personal injury lawyers see, and what most people think of when hear personal injury cases. These cases involve car accidents, usually between two or more vehicles. They can also include accidents involving automobiles and pedestrians, or even single vehicle accidents in cases involving improper road design or signage. Commercial trucking accidents are similar to auto accident cases, but require an in-depth knowledge of the rules and regulations associated with commercial trucking. There are state and federal laws, as well as administrative regulations designed to limit the risk these dangerous vehicles present. The negligence of truck drivers and trucking companies to follow these specific rules can lead to catastrophic injuries, whether it is through improperly maintained equipment, overtired and overworked drivers, or unqualified employees. If you have been injured in a commercial trucking accident, it is necessary to have someone on your side who fully understands these complicated rules. Seattle is a town full of cyclists, and most cyclists and drivers respect each other and safely follow the rules of the road. However, cycling can still be dangerous and the negligence of others can result in severe injuries to those involved in cycling crashes. Vehicle-bike crashes, bike on bike crashes, or even negligently maintained or designed pathways can lead to severe injuries even for those wearing the proper safety gear. When a person is an invitee or guest on a property, the property owner has certain responsibilities to maintain the property in a safe fashion. If someone is injured as a result of a property owner’s negligence, the property owner can be held responsible. There can be a wide variety of these types of cases, ranging from slip and falls accidents to poor snow or ice maintenance to defective conditions such as improperly maintained elevators or escalators. Such conditions can change rapidly, so if you have been hurt this way it is important to take steps so that these conditions can be recorded and preserved before they are altered and the evidence disappears. A sub-set of premises liability, a property owner has the responsibility to keep the premises safe and secure. Anyone who has been the victim of a crime due to the failure of a property owner to take reasonable steps to keep the premises safe and secure may have a claim for any injuries suffered as a result of criminal conduct on that property. Wrongful death cases are like most other personal injury claims, with one obvious and tragic difference. The negligent behavior of the defendant has caused the victim’s death. Cases involving wrongful death must be brought by the surviving spouse, domestic partner, child or child of the deceased, or the personal representative of the estate itself. Injuries arising out of athletic activity are growing in frequency. While most sports leagues or organized activities require some type of waiver, the activity must still be conducted under reasonably safe guidelines. The increased attention on sports related head injuries has shed light on the improper ways that teams, leagues, and organizations have treated these injuries in the past. If leagues do not follow their own internal and administrative policies on how to handle such injuries, they may be liable for the damages competitors sustained. These are just a few examples of the many types of personal injury claims. If you believe you have been the victim of some other person or group’s negligent behavior, it is important to seek help as soon as possible. Washington law allows only three years from the time of the incident for an injured person to bring a claim. If you have any questions about whether you have suffered an injury and might have a personal injury case, please contact an experienced personal injury attorney such as those at Brain Injury Law of Seattle to have your questions answered.